How do I pay my bills if I cannot work? What if my insurance company will not cover my accident? All cases are different, if another person’s negligent acts caused your injury we can help you answer these questions and get the compensation you deserve. You need a catastrophic injury lawyer in Scranton you can trust. What makes an injury “catastrophic” or serious? Serious injuries such as these will often require emergency medical care, surgery, long term medical care and other specialized medical care. Serious injuries can include: amputation, back injuries, blindness, brain injuries, broken bones, burns, comas, emotional trauma, facial injuries, head injuries, neck injuries, paralysis, road rash, scars, spinal cord injuries, or wrongful death. When your injury occurred because of someone else’s negligent act, you deserve compensation to cover your medical bills, pain and suffering and other losses. What do I do after a Scranton catastrophic injury accident? Do Not Accept Blame: Even if you think the accident might be your fault, do not apologize to anyone, or admit to breaking any laws. It is important to keep discussions about the accident to a minimum. If a police officer needs information for the report, stick to the facts of how the crash occurred. Insurance companies can trick you into admitting fault or minimizing your injuries. Contact a Catastrophic Injury Lawyer: Accidents can cause catastrophic injuries and leave victims with huge medical bills and sometimes permanent disabilities. In addition, most victims need to miss work to recover or attend doctor’s appointments. Compensation is often available, but the process to recover it is both daunting and overwhelming for many people. This is where a knowledgeable serious injury attorney can help. Do I need an attorney for my catastrophic or serious injury case? Catastrophic and serious injuries deserve substantial compensation. It will not be easy to recover the compensation you deserve without an experienced and knowledgeable catastrophic injury attorney on your side. If you or a loved one has suffered a catastrophic injury, we can help. 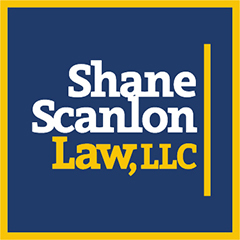 Please contact the team at Shane Scanlon Law today at (570) 955-4505 to speak to a Scranton catastrophic injury attorney.